HTC continues to fuel the hype about the new HTC One smartphone through its viral advertising campaign. 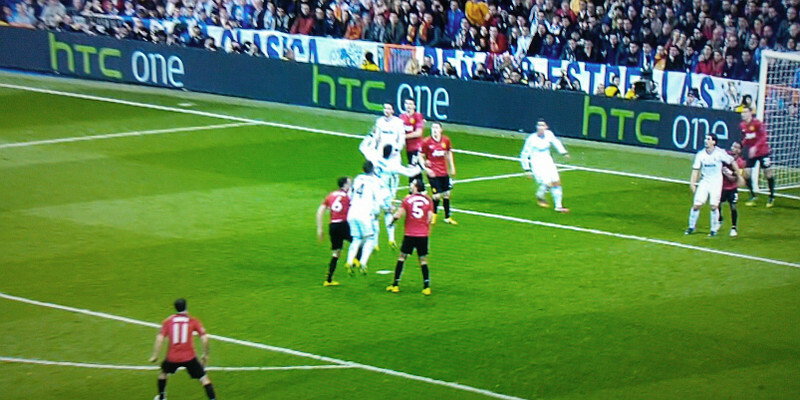 Yesterday, the logo of the new HTC One was displayed several times during the round of 16 stage of the UEFA Champions League match between Real Madrid and Manchester United. Although the match wasn't without interest, such an event couldn't go unnoticed by a real geek and @gonkatin, who was watching the game at the time, quickly pulled his mobile to get some photos and share them with us. Unfortunately, the ads showed nothing but the logo of the new smartphone from the Taiwanese manufacturer. Anyway, thanks @gonkatin for the tip.